Based on the success of the first Leica Cine MacroLux +1 Diopter, CW Sonderoptic, part of Leica Camera AG, has announced two more close up lenses. The macro lens attachments Cine MacroLux +2 and +0.5 which are based on the same Leica optics, coatings and mechanics as the Cine MacroLux Diopter +1. The new Cine MacroLux attachments can be used individually or combined. They promise consistent, creative shots. The +2, +1 and +0.5 Cine MacroLux attachments have the same mount as well as the same optical characteristics. 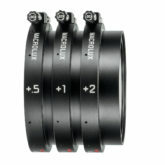 This means that all three are compatible with the Prime, Zoom and Anamorphic lenses with a front diameter of 95 millimeters. They can be screwed together and combined for additional creative effects. In addition, the Leica Cine MacroLux +2 Diopter provides a larger macro effect for tabletop and close-up shots. The much sought after +0.5 Diopter offers additional options, especially in combination with wide angle lenses. 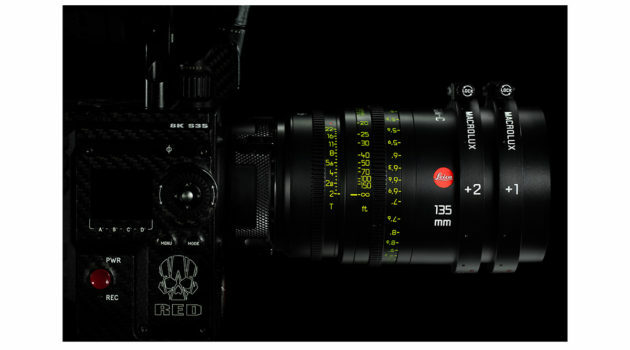 All of the Leica Cine MacroLux lenses should be available in April. While these accessory lenses are for the specially designed cine lenses from Leica, they are of interest to the Leica M and Leica SL shooters as well since these cine lenses can be used with an adapter on these cameras as well. These are specially designed lenses which compress the width of a wide ratio cine frame to fit the standard height to width ration of a standard cine frame. When projected with the same or a similar lens, the resulting image has a much wider width than a standard cine frame. This has in the past been referred to as cinemascope. Doesn't that distort the image though? Yes it does, but only on the in-camera cine frame where it is squeezed to a smaller width horizontally. When projected, this distortion is eliminated by projecting the "squeezed" frame to a much greater width on the screen which eliminated the distortion.